In 2001, WCW fans who were searching for a glimpse of hope from the dying company, saw a streak across the sky in the newly formed cruiserweight tag team division. The promotion was looking to inject a segment or two with young high flyers who were fresh, exciting and hungry. Enter Air Raid… AJ Styles and Air Paris. The Georgia tag team had been plucked from the red hot NWA Wildside promotion. Both men had made appearances previously for World Championship Wrestling, but, this would be a full time opportunity. Styles and Paris were also coming in with a little bit of fanfare; both of their names were bouncing around the fledgling internet wrestling community as potential stars. As fans are well aware of, AJ Styles has followed that rocket ship to super stardom, achieving more than anyone at that time could imagine. Today, Frank Parris just watches in amazement at his friend. No longer taking to the skies high above the ring, the former ‘Air Paris’ stays grounded, working in retail management and waiting on daughter number two. However, the former can’t-miss prospect is far from a wrestling tragedy. 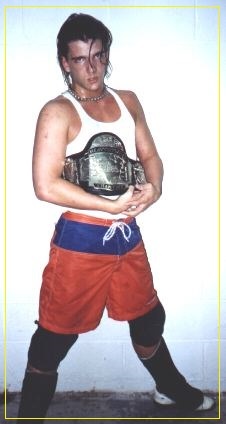 If anything, he’s found a happiness that the sport couldn’t provide, even in the bright lights and prime time of WCW. He and Styles had, indeed, made their names in a series of classic matches as rivals on the indy scene, before World Championship Wrestling would eventually see potential in them as a pairing. 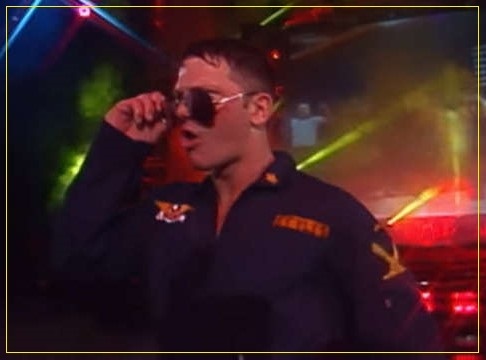 Given the look of Top Gun fighter pilots, complete with jumpsuits and aviator shades, they had been discovered by Wildside promoter Bill Behrens. Parris says that it was Behrens who not only kick-started his career, he also tried to guide him through some growing pains. Even with his mentor’s guidance, Parris admits that he was probably a little too big for his own britches as he gained more attention on the indys. For people who religiously followed Wildside, Parris was a surefire star. Unfortunately, his time with WCW would be his only major run with a worldwide company. With their gimmick and athleticism, Air Raid seemed like a perfect fit for what Eric Bischoff envisioned, had he been able to follow through on his plans to purchase the company that Spring. When that deal fell through, neither Styles nor Paris would sign with the eventual new owners, WWE. Even now, he doesn’t really have a clear reason why. He said that starting young, and being smaller, may have caused him to have a bit of a chip on his shoulder. 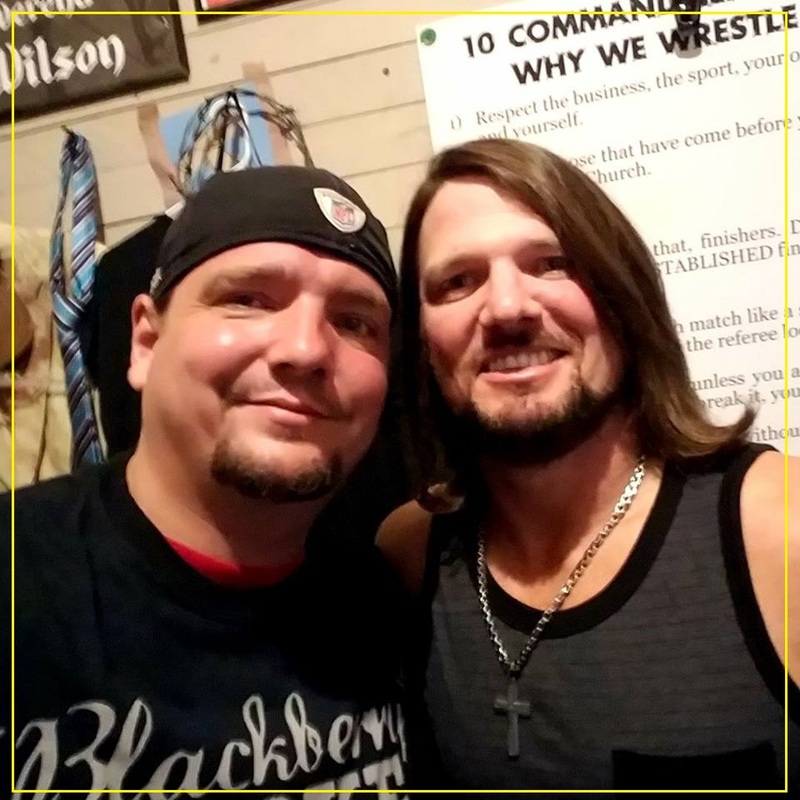 After stepping away from big time competition in the ring, he turned to promoting, and hosted a string of successful events in Georgia. After somehow acquiring a building in tiny Cedartown, Parris’ cards routinely drew anywhere from 800-1400 fans. Parris brought in established stars like the Steiner Brothers, and used Ron Simmons as his authority figure. Eventually, he grew weary of promoting, however. As he now sits in his living room, and plays with his young child, Frank Parris has found a peace that the squared circle never provided. And, it suits him, as he foregoes memories of the past, and replaces them with thoughts of his children’s future. As a proud father and family man, Parris has a lot in common with his former co-pilot in Air Raid. Although their destinies may have flown in different directions, Parris says that both he and the WWE Champion stay grounded in their similar values. He says hearing him mentioned with Styles has another positive effect for him, as he looks back on his career today. “If anything, my career has lived on, because of AJ. I’ve been featured in the video pre-packages on the Royal Rumble, Summer Slam… I’ll be sitting here watching with my daughter and she’ll see it and say, Hey, there’s Dad! I mean, how cool is that? The retired wrestler now happily watches as his friend and former tag team partner continues to soar to new heights While sitting on his sofa, thinking about being a father, paying bills, and buying a home— he’s far from his flight suit, and finally comfortable just being in in his own skin. And, as far as being known as the “former partner”? He’s okay with that, too.